GENEVA, Switzerland, February 28, 2014/African Press Organization (APO)/ -- The Ethiopian diaspora in the United States, Canada and Europe is continuing to support IOM efforts to help fellow Ethiopians returning home from Saudi Arabia. The latest show of support came this week from the Ethiopian diaspora community in Dallas, Texas, with a donation of USD31,000. Mac Mekonnen, Executive Director of the Mutual Assistance Association for the Ethiopian Community in Dallas/Ft. Worth Texas visited the US Association for International Migration (USAIM), IOM's non-profit partner in the US at the IOM Washington office to hand-deliver the donation. “The Dallas Ethiopian Community is pleased to have been part of alleviating the problems of the Saudi returnees in their moment of crisis,” said Mekonnen. Other contributions from the Ethiopian diaspora include: USD62,000 from The Global Alliance for the Rights of Ethiopians in Saudi Arabia;USD23,000 from The Ethiopian Community Association of Greater Philadelphia; USD 3,050 from the Ethiopian Community in Minnesota; andUSD8,736 from the Vancouver Committee to Assist Abused Ethiopian Migrant Workers in Saudi Arabia. “These contributions from the Ethiopian diaspora are critical for IOM programmes which are providing assistance to Ethiopian returnees. But their actions also send an important message – diasporas can contribute to development in their countries of origin and can provide vital financial support in times of crisis,” said Luca Dall'Oglio, IOM's Chief of Mission in Washington,DC. 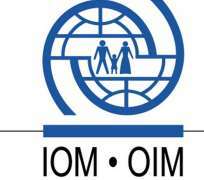 “We are committed to a long-term solution and intend to support IOM through the next steps to hopefully provide reintegration assistance for our compatriots once they return home,” said AddisuHabte, a member of the Task Force of the Ethiopian Community of Greater Philadelphia. Following the introduction of legislation in Saudi Arabia designed to crack down on irregular migration, a total of over 158,000 Ethiopian migrants have returned to their country. IOM has provided post-arrival assistance to 93per cent of the returnees including food and non-food relief items, temporary accommodation, transport, travel allowances, family tracing and reunification for unaccompanied minors, medical attention and psycho-social support.